Technology has been kept largely immobile in its basic design for over a century. For all our talk about progress, real innovation is discouraged as it would tend to unsettle financial interests. We urgently need some disruptive new energy technologies. Particle Annihilation - A Source of Renewable Energy? One of those books, TURN ON THE LIGHTS! 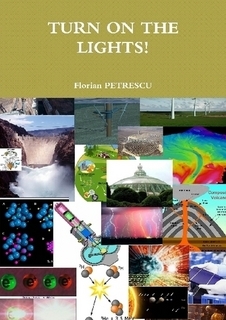 describes how the process of particle annihilation, the destructive interference between a particle and its anti-particle, could be used to obtain comparatively cheap and perfectly renewable energy. Although using the energy of sub-atomic particles, the process would neither necessitate nor create radioactive particles. It would also be much cheaper and simpler to realize than atomic fusion and present-day atomic fission reactors. Here is a summary, slightly edited, from a communication printed in the January/February 2012 issue of Infinite Energy Magazine. 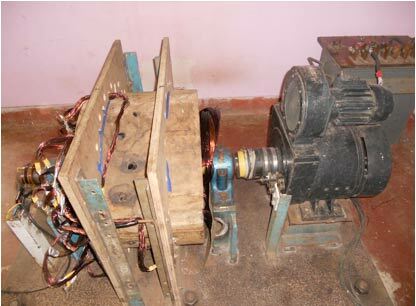 Indian engineer Paramahamsa Tewari, who is not unknown to readers of this site, is experimenting with what he calls a Reaction Less Generator. 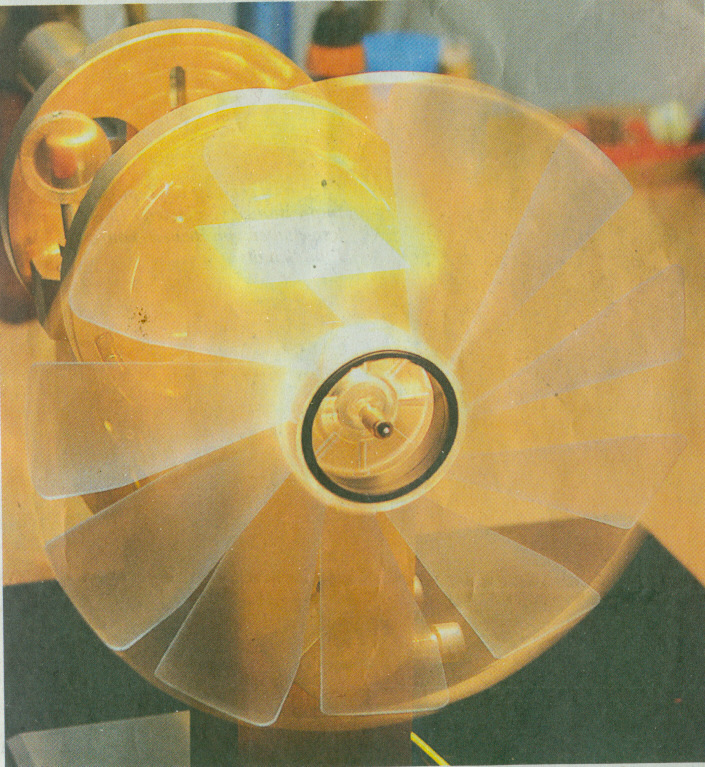 Measurements taken by Tewari show that the generator is edging towards useful over unity production of electricity. Ever since the discovery of electromagnetic induction by Faraday and the invention of electrical generators based on these principles, any efficiency higher than unity obtained from these machines has been ruled out due to the Law of Energy Conservation (LCE) and the Lenz's Law. But, through a new Reaction Less Generator (RLG), under development for some time, efficiency much higher than 100% has been achieved. Tests are now being performed on a small Motor-RLG set which has a DC Motor coupled to an AC RLG. The test results show the graphs of input power to the drive motor and the output from the RLG. The lowest line on this graph from www.tewari.org (violet) shows the actual input to the RLG from the coupled motor with 0.8 efficiency. The next higher graph (green ) shows the input to RLG without taking motor efficiency into account. The highest graph (blue) shows the output from the RLG. Even at the moderate speed of 1750 r/m, at which the set is run, the ratio: Output from RLG / Input to RLG is 160% (from the lowest and the highest graphs). With extrapolation it can be shown that at 3000 r/m, the efficiency of the M-RLG set will reach 275 %. 1. Power to electromagnets is not taken into account, as these can be replaced by permanent magnets. 3. Drive-Motor efficiency is 80%. While the test results are encouraging, we aren't quite there yet. The research is still preliminary and useful over unity production of electricity, although seemingly within grasp, may still be off some time into the future. I hope to be able to report more news soon. For now, development is in progress. Speed is being raised, says Tewari, and detailed tests are continuing. The explanation to this new RLG phenomenon, says Tewari, comes from the principles of Space Vortex Theory. That theory goes deeper into creation and stability of the electron, the flow of electrons from atom to atom, as they form a current in a conductor, and the creation of the field structure of electrons. All these arise from the absolute vacuum or space (mass less, nonmaterial fluid). The positive terminal of a DC generator has a shortage of electrons, while the negative terminal has more electrons. This is because the electrons in the atoms of the armature conductors in rotation are interacting with the magnetic fields that strip them of their orbital electrons and pushes [displaces] them to form the negative terminal. When the positive terminal of the generator is connected to the external stationary output circuit, the electrons of the neutral atoms of the circuit, now in contact with the positive terminal, are pulled by the positive generator terminal and this is a continuing process. The negative terminal supplies the electrons that are pulled from atom to atom -- the process starting from the positive generator terminal. Though the atoms of the circuit conductor do work in pulling the electrons from the negative terminal and up to the positive terminal, their structural energy remains intact without any loss. This is because the electrons as well as the atoms are vortices of a mass less, continuous, non viscous, vacuum. The vortices continue to retain their structure despite their continuing interactions. In a RLG, by a specific configuration of the armature conductor and the magnetic field, a torque that supports the motor torque is created. This way the armature reaction is nullified and Lenz's law is bypassed. There is no creation of energy from any source. There is no applicability of the Law of Conservation of Energy. We have erred, though unknowingly, in our design of electrical generators and have remained in error for more than two centuries. May 26 2011 - This is an appeal for cooperation from G. Edward Griffin (see his Reality Zone Site) which I would like to make available here ... perhaps one or the other of my readers is interested in the chemtrail phenomenon and would like to contribute to ending any uncertainty that still surrounds this "painted skies" mess. When we released our documentary, What in the World Are They Spraying, we included snow samples taken from Mt. Shasta in Northern California, which contained toxic levels of these metals. Since snow is merely frozen rain water, it was clear that this came from the sky and not from the soil or water run-off from some toxic waste dump. Nevertheless, an Internet debunker challenged our conclusion by claiming that people ski on Mt. Shasta, and skis are made of aluminum. Therefore, the tested aluminum probably came from the skis! Nothing to worry about after all. We are planning to respond to this gentleman as soon as we can find the time to carefully examine his claims about the early snow melt, the amount of bare earth exposed, the composition of the surface soil, and especially the rainfall and moisture levels of the soil during this period. I expect to find that, even if there had been an early snow melt, the soil on Mt. Shasta would have been far too moist and covered with moss, ferns, or other ground cover to make the "dust-bowl" theory even remotely plausible. But it will take a little time to pull the facts together. 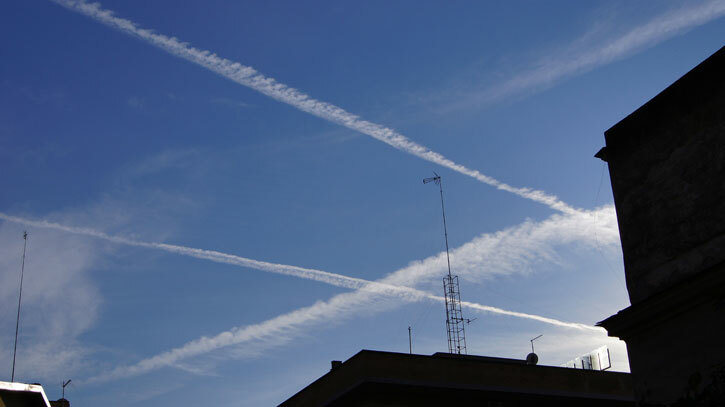 One of the most promising technologies to generate hard evidence of chemtrails is the Internet tracking of planes in flight. There are several computer programs and devices that track commercial flights in real time and show, not only their location, but also their flight number, type of aircraft, origin, destination, speed, and altitude. The cost for this App on an iPhone is about $4, and on a computer, it is free. This is amazing technology, and the programs actually are fun to use. They work by receiving what is called ADS-B plane feeds, which are radio signals transmitted by commercial and private aircraft. Military aircraft and those on classified missions do not transmit this signal. I'm sure you already see where this is going. It is theoretically possible to identify every commercial plane you see overhead either by pointing your iPhone camera at it or locating it on the screen of your computer. If the debunkers are correct, we will find that planes spewing a trail from horizon-to-horizon will all be identified as merely commercial craft and what we see are merely normal contrails after all. On the other hand, if we find that commercial craft do not leave streaks from horizon to horizon but the ones that do are missing from the system ... well, even the most die-hard skeptic would have to take a serious look at that. Pendulum hydro pump concept: it's open source - build it! Thermoenergetics: Can Hydraulics Reverse Entropy? 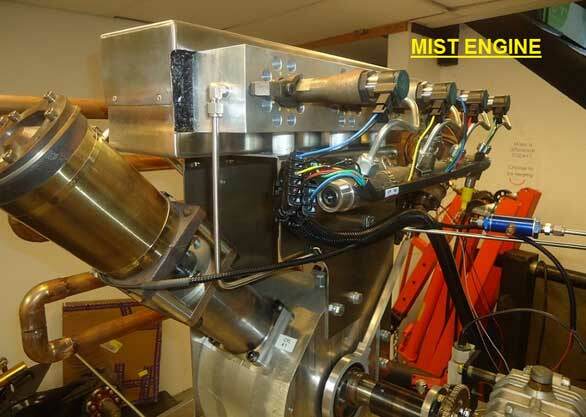 Overbalancing Gravity Motor - Johannes Bessler Rehabilitated? Will Magnetics Bring Free Energy Breakthrough?